We present to your attention the beautiful wooden benches made of solid natural oak wood. 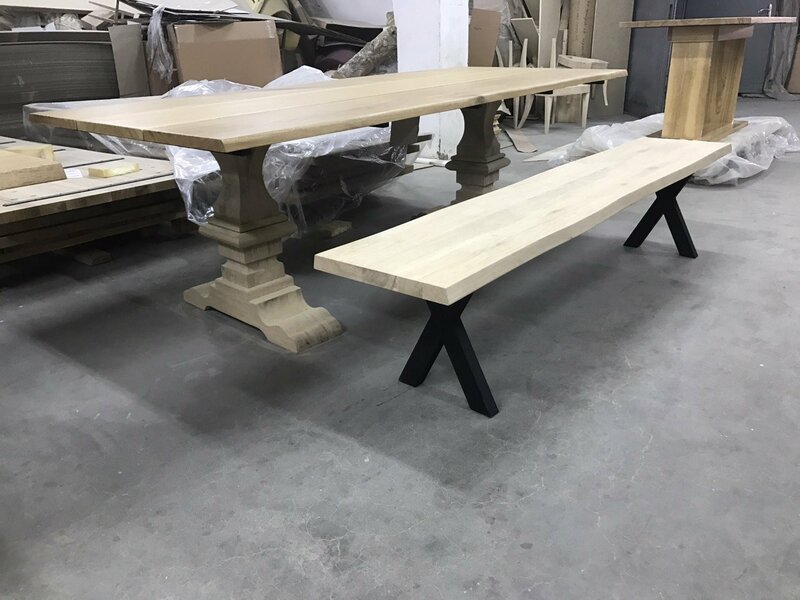 Benches made of wood can have the same length as the dining table (240cm. / 260cm. / 280 cm / 300 cm.). 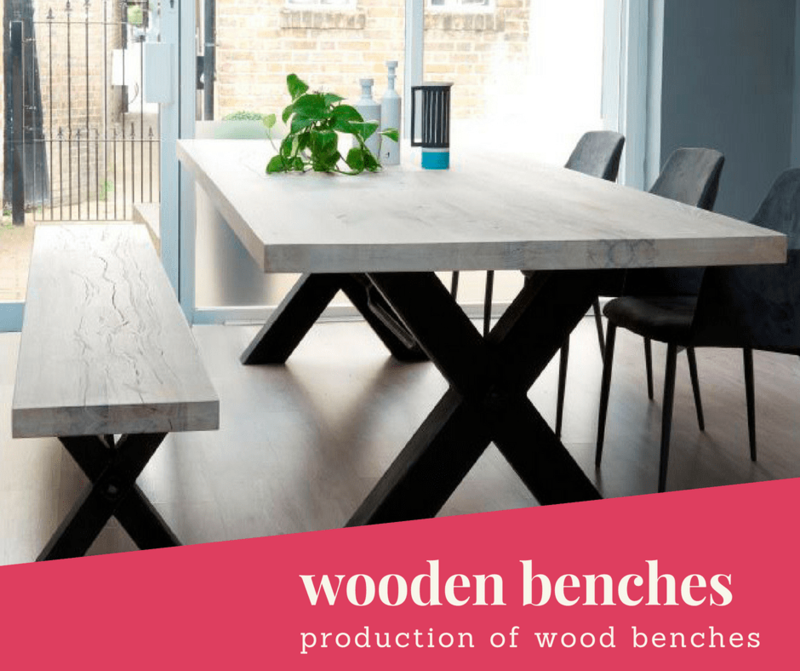 Wooden benches allow you to place a larger number of people at the table. Wooden benches save more space in the kitchen. 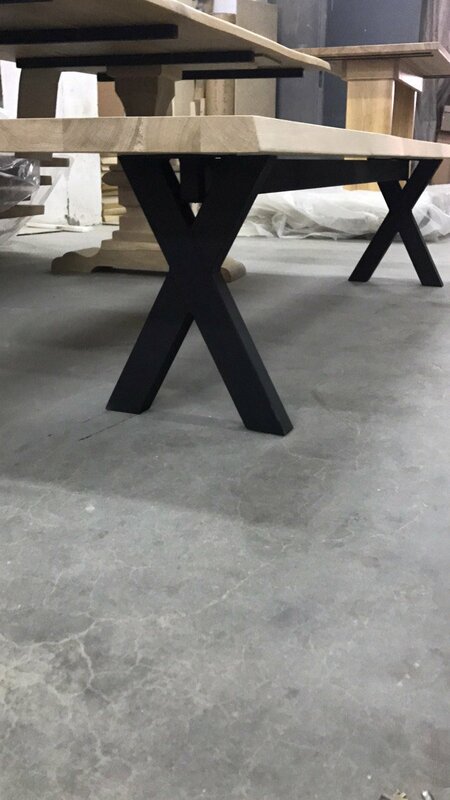 When ordering the manufacture of wooden benches with metal legs, you can choose the desired color and shape of the coating. Metal legs for this bench can be of different shapes. You can order the production of wooden benches from solid oak in our furniture factory. Production time of a large batch of wooden benches from 6 weeks. You can read more about our products and see other photos. We are ready to provide you with additional materials that will interest you. Manufacture of wooden benches solid oak occurs on furniture factory “MBS Wood”. 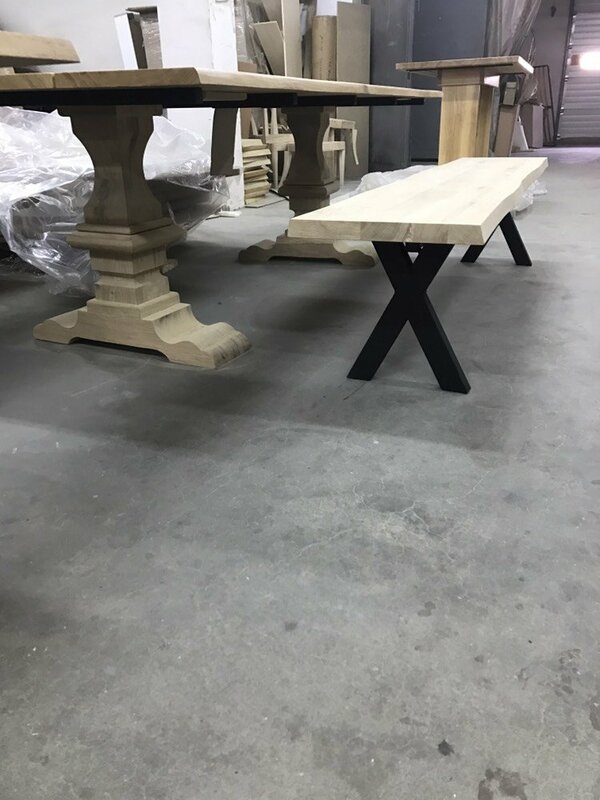 We carefully select the best types of wood, cut the wood to the desired thickness, then we dry the wood in special chambers for drying the wood. Drying of wood lasts at least 3 months. Metal legs have universal fastening and are suitable for all types of shops.